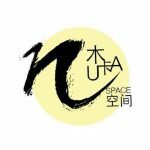 MUKA SPACE was created by Dr. Yan Yongzhen founded in 2013. The meaning of MUKA includes Malay “Kamu” (you) and “Aku” (I), which is “No matter what you are, belongs to you and me” The art sharing space. Muka advocates the concept of “making art life”, believes that quality life is inseparable from artistic feeling, and makes “artistic life” a unique phenomenon in our time. Muka is committed to making and presenting high-quality drama. To nurture young performing artists, develop contemporary drama art and art cross-border works, and expand diversified art forms and international cooperation methods. Jose Navarro uses puppetry, dance and a new arrangement of fusion in an exploration and interpretation of the traditional Peruvian Scissors Dance, which is included on UNESCO's list of the Intangible Cultural Heritage of Humanity. The performances are physically and visually captivating, using puppetry, mime and the scissors dance, so they can cross all language barriers and be enjoyed anywhere in the world. Jose is an extremely versatile performer who can adapt his shows for any occasion or venue. After stunning audiences with a bold recreation of Cao Yu’s masterpiece Peking Man, multi-award winning director Dr. Deric Gan sets his eyes on yet another masterpiece – Richard Wagner’s epic music drama The Ring of the Nibelung. This work took Wagner 26 years to complete. With a total duration of 15 hours from overture to finale, it is rare to be able to experience the work in one sitting. 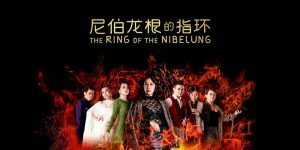 For the first time in Malaysia, director Dr. Deric Gan and producer Easee Gan will be presenting The Ring of the Nibelung as a 5-hour theatrical experience.